Do it yourself lampshade for a standing light or a hanging light. The design is a special edition for the 111 aniversery of the Viennese hat manufacturer Mühlbauer. The product is a printout.The customer has to cut out, fold and glue the parts together. Kim B can be used as a hat, a lamp shade or something else. Distance piece for use as table lamp included. Works as hanging light and standing light. No glue,no bulb socket and no table lamp included. What kind of glue should I use for the lamp shades? Best is to use a contact glue like UHU Power (Kraft) or Pattex Contact Glue in transparent colour. A contact glue is a glue that you put on both parts which should be glued together. You have to wait till the glue starts to dry, then you can put the parts together. You will find this kind of glue in bigger shops for paper and office products. How long does it takes to build a lamp shade? What kind of bulbsocket do I need for the LARGE MODELS (lampshade for a hanging light)? The LARGE MODELS work with standard bulbsockets like the ones you get at Ikea. 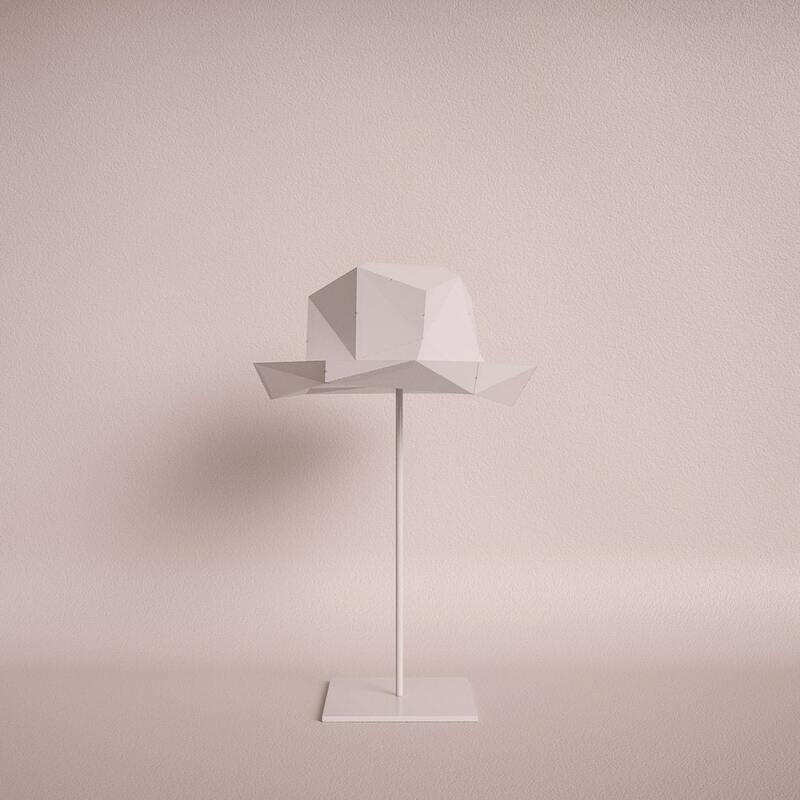 How does the MEDIUM MODELS (lampshade for a standing light) get attached to the lampstand? Each MEDIUM MODEL come with a METAL DISTANCE PIECE that you attach to the lightbulb. Because the lampshade gets attached to the bulb and not to the lampstand it´s possible to use every lampstand. What kind of lightbulb is recomended? Best is to use LED bulbs or Energy Saving bulbs but it´s also possible to use bulbs up to 60 Watt. For the MEDIUM MODELS (lampshade for a standing light) it´s important to use bulbs with a classical form because the METAL DISTANCE PIECE that comes with the lampshade only works with a bulb in a classical form. 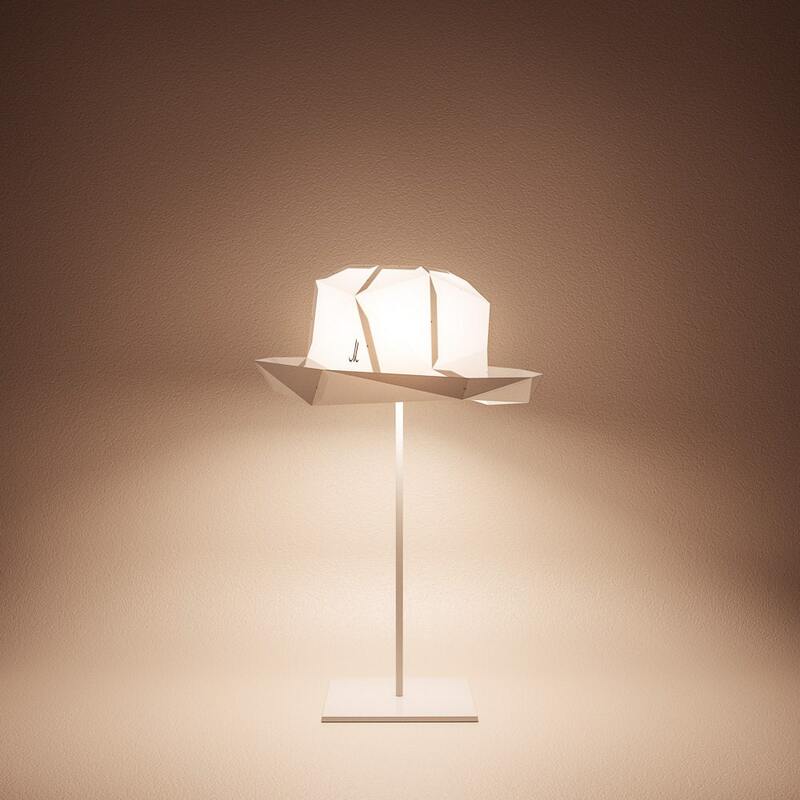 What kind of paper is the lampshade made of? 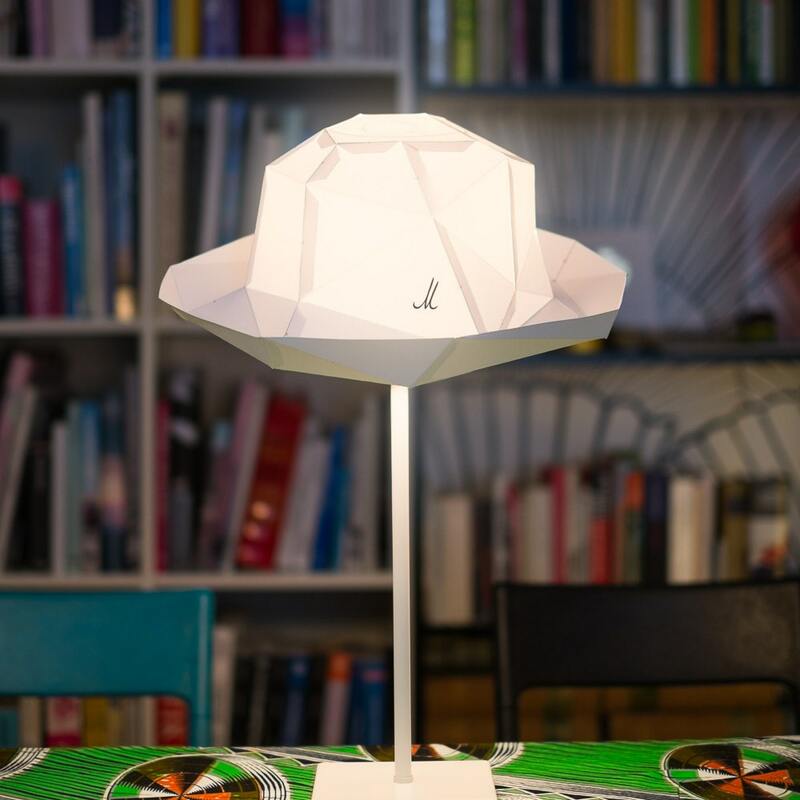 The lampshade is made out of 230g/m² white paper. The paper is not fire proof but also the lampshades that you buy at Ikea are not fire proof. If you use the lampshade correctly there is no risk of fire. Where can I find the manual for the construction set? The manual is printed onto the construction set inside the packaging.